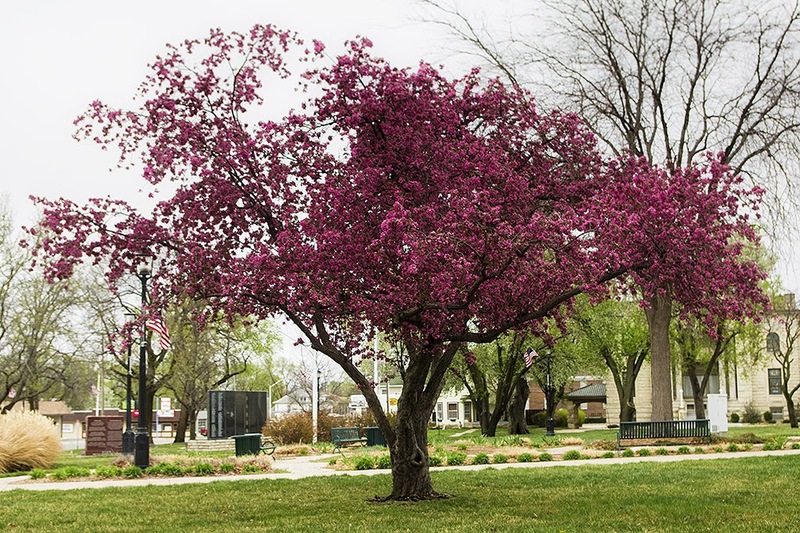 The fruit trees around town have been in bloom for a while and making everything look so lovely. 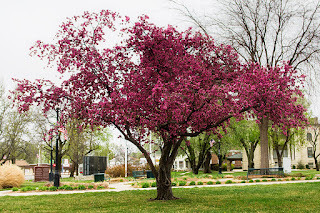 In the City Park this Crabapple tree was blooming quite profusely and adding a lot of color to the area. We had a freeze last night and I have not yet had time to see how everything that was coming up did through it, hopefully Ok since it's getting rather late for freezing now.